The following is a review of FLOW live from The JW Vibe Click here to read the review on The JW Vibe website. 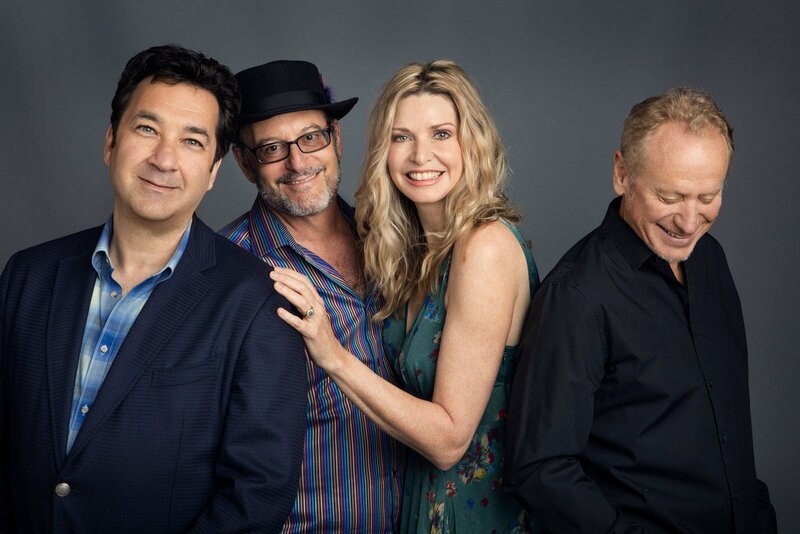 A little over a year ago, when I first got wind of the newly formed new age/contemporary instrumental super group FLOW, I immediately felt it would be like hearing an inspired gathering of longtime musical acquaintances. I had written individually in the past about Grammy winning guitarist and legendary Windham Hill label founder Will Ackerman, pianist Fiona Joy and guitarist Lawrence Blatt – and had reviewed one of trumpeter/flugelhornist Jeff Oster’s albums. I had the unique opportunity to hear the album in its entirety, months before its October 2017 release, in the presence of Fiona and Jeff. It drew me in from the get go, with a soulful, inviting blend of ambience, melodic grace and infectious rhythmic textures.